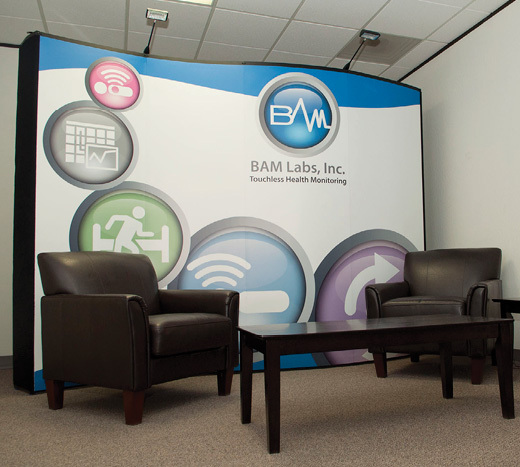 The portable trade show booth used by BAM Labs. Luckow designed all graphics as well as ID. 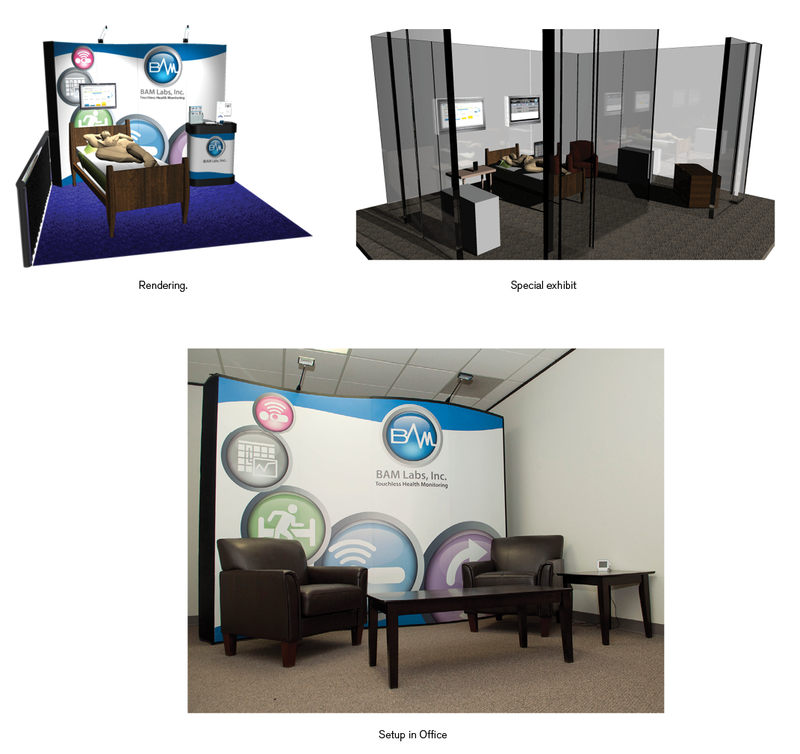 Shown here are the original 3D rendering as well as the finished booth.